Meet the Cuspers: So What Happens Now That Boomer Power Is in the Hands of Generation Jones? The Luxury Market: Whats Left in the Age of Value and Values? Named one of the world’s top five trendspotters, Marian Salzman has created numerous successful consumer campaigns, the most famous of which are launching the metrosexual to create a marketplace for SAB Miller’s Peroni, Pepsi’s “It’s Like This,” and “It’s America Online.” Marian co-founded Cyberdialogue—the world’s first online market research company—in 1992 and has managed thousands of other trendspotters around the globe for two decades. Since she took over at Havas PR North America in late 2009, where she is now CEO, the agency has become one of the most awarded of its size in the U.S. in innovation, digital prowess, media relations, cause and other areas. She was recently named to PRWeek’s Power List 2014 and is its current (and inaugural) Global Agency Professional of the Year. Marian was also listed on The Holmes Report’s inaugural In2 Innovator 25 in 2013 and Business Insider’s 25 Most Powerful People in PR in 2012. 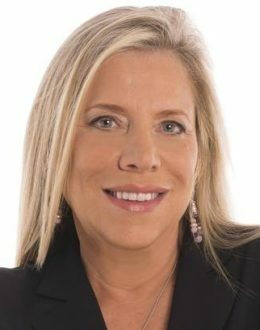 (She was PRWeek’s U.S. PR Professional of the Year in 2011 and has also been named Bulldog Reporter’s 2014 Outstanding CSR/Sustainability Executive and a member of PR News’ Hall of Fame.) She was elected to the Connecticut Women’s Hall of Fame in 2014. Marian lectures worldwide on various topics, from trends to personal branding to gender and generational differences among consumers. In the past year, that has ranged from speaking on innovation at Arizona State University and newscrafting at Brown, her alma mater, to talking about the future of reputation in Brazil and to PR executives in Poland about CEOs and PR in the age of social media. Her audiences have included CEOs, heads of state, members of European royal families, marketing and media executives, and college and university students, among others. Marian was, for instance, the keynote speaker for marketing graduates at the University of Arizona’s Eller College of Management commencement lunch in 2014. Her TV appearances have included “60 Minutes,” “Good Morning America,” “Power Lunch,” “Today,” BBC, CBS News, CNN and Bloomberg TV. In addition to her closely watched and widely reported-on annual trends forecast, plus 15 books she has authored or co-authored, Marian currently blogs for the Huffington Post, Forbes.com and CNBC, plus various company blogs, among others. Her four-part series on the brain for HuffPost won a 2011 Bronze SABRE for Speech or Bylined Article and an honorable mention from the PR News Platinum PR Awards. Other top blogging awards include Bulldog Reporter’s PR Blogger of the Year for 2013, an honorable mention for individual blog from the PR News Social Media Icon Awards the same year, and a silver from Bulldog’s Stars of PR Awards in 2011. In 2012, Marian was a PR juror for the CLIO Awards, part of the international PR jury at the Cannes Lions International Festival of Creativity, and one of the final judges to select candidates for Venture for America, a program for future entrepreneurs modeled after Teach for America. She now sits on that organization’s board of directors, in addition to the board of the Bob Woodruff Foundation.